Robinson Cano’s rebound from an off-season was rewarded with his seventh appearance in the All-Star Game, next week in San Diego. 2B Robinson Cano is the lone Mariners’ representative on the 35-man American League team in the 87th All-Star Game Tuesday in San Diego. It’s Cano’s seventh appearance after missing last season’s game with an injury-hampered first half. Cano was selected by players after fan voting put Houston’s Jose Altuve in the starting lineup at second. 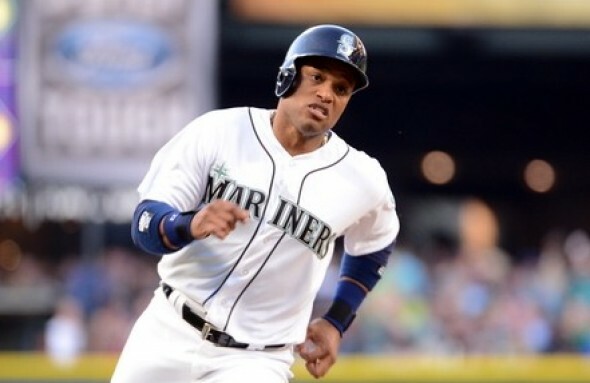 Cano, 33, is batting .303 with 59 runs, 20 doubles, a triple, 19 home runs and 54 RBI. Among AL leaders, Canó ranks T7th with 19 home runs, T10th with 54 RBI, 12th with a .535 slugging percentage, 13th with a .894 OPS, 6th with 182 total bases and T8th with 30 multi-hit games. Canó was also selected to the All-Star Game in 2006 and 2010-2014. Boston led the AL team with six selections, while the Chicago Cubs had seven on the National League team (rosters here). Red Sox DH David Ortiz, a Seattle farm prospect 20 years ago, is one of three former Mariners named to the game. He is joined by OF Mark Trumbo, traded in November to Baltimore after a half-season in Seattle, and Marlins reliever Fernando Rodney, waived amid a bad season. Former Mariner Michael Saunders, now of the Blue Jays, is one of the five candidates for the AL’s 35th spot, to be determined by fan voting. Dodgers rookie Corey Seager, younger brother of Mariners 3B Kyle Seager, made the NL’s squad at shortstop. Surprised that room couldn’t be found for Cruz. Does not surprise me to see Trumbo and Saunders but even though he’s having a solid season I’m not sure Rodney should have been selected. IMO, at best an alternate based on his streaky career. Dodgers rookie Corey Seager, younger brother of Mariners 3B Kyle Seager, is the NL’s starting shortstop. Corey isn’t starting. The Cubs’ Addison Russell is.